Listen to the audio of our April 2017 WATERritual here. 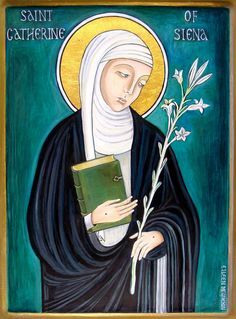 Preparation: Set your ritual space with a centerpiece of lilies, books about or pictures of Catherine of Siena, a candle for each participant, matches, several rocks, bread and wine/juice/drink. We gather today to honor Saint Catherine of Siena in anticipation of her Feast Day on April 29th, which marks her death in 1380 at age 33. Catherine is a 14th century Italian mystic, prophet, and activist who serves as an example for all contemporary justice seekers. In 1970, Pope Paul VI proclaimed Catherine, along with St. Teresa of Avila, the first women Doctors of the Church. This means Catherine is among the 36 major theologians recognized by the Church, and her writings are approved teachings for the whole church for all time. Today we lift up this amazing woman who challenges us to share in her wisdom, knowledge, and love. Let us introduce ourselves. Speak your name and say where you are geographically. Her words were also recorded in her biography, Life, by her friend and confessor Raymond of Capua. We use her words and works in today’s liturgy. From an early age, Catherine experienced visions, ecstasies, and spiritual struggles. She had various visions of Christ, and ultimately wrote The Dialogue, an imagined conversation between God and herself. Its central message is the unifying power of love through the personal Christ who cares for all. Take Action Each person light a candle. I shall come to know my nature. And what is my nature, boundless love? because you are nothing but a fire of love. you made them out of love. What nature has your God given you? God’s [His] very own nature! through the guilt of deadly sin? with a free and simple heart. God, come to our assistance! Ubi caritas et amor. Ubi caritas; Deus ibi est. Live in charity and steadfast love. Live in charity; God will dwell with you. Catherine was a public voice in political and ecclesiastical affairs of her time. She advised Pope Urban VI on the reunification of the Church during the Great Schism, when two popes claimed legitimacy. She encouraged Pope Gregory XI to return the papacy to Rome in 1377 after 70 years in Avignon, France. And he did. Though she had public relationships with popes and other national leaders, like other women of the 14th century, Catherine experienced sexism. As we will see later, Catherine was vocal about her belief in the unifying power of the Eucharist for all those who crave it. Response: Catherine of Siena, walk with us on our journey. Take Action Scream, yell, shout out an injustice with your prophetic voice. with the very same love. Take Action Hold the rock of courage and pass it around the circle as we reflect. The Eucharist was central to Catherine’s spirituality. She believed the Eucharist calls us to action, to take responsibility, to apply our faith in all the events of daily life. She explicitly disapproved of priests who believed they controlled the Eucharist, thus denying it to those who crave it. Let us take bread and drink, and listen to Catherine’s words as our Eucharistic Prayer. Catherine’s prayer reflects that the Eucharist expresses God’s continuing presence among us and strengthens us for the journey. Like Catherine, we are called to be mystics, prophets and activists who love and serve our neighbors, advocate for justice, challenge abuse of power by church authorities, and work for reform, reconciliation and healing. On April 29, focus on love and do something to honor Catherine of Siena. Use our resources list below or go online to read about Catherine of Siena. The Dialogue. Trans. Suzanne Noffke. 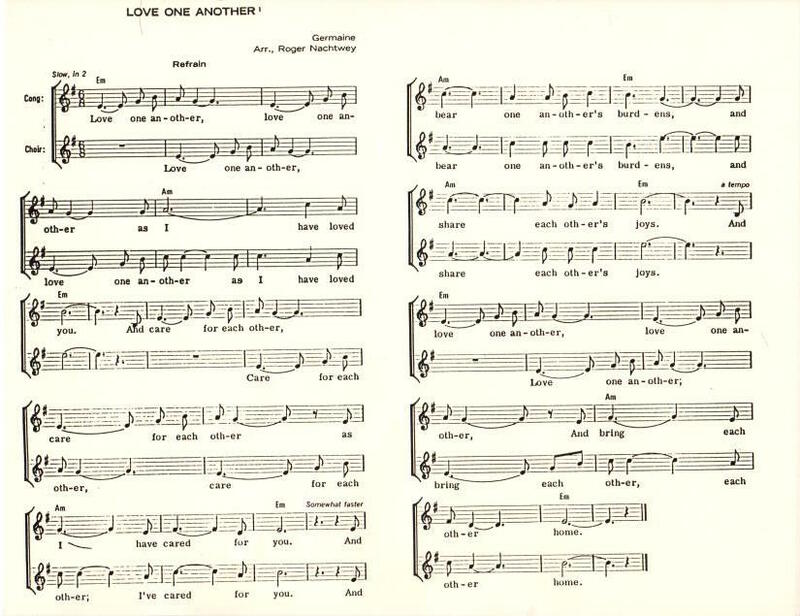 New York, NY: Paulist Press, 1980. Center for Medieval and Early Renaissance Studies, 1988. Jose, CA: Authors Choice Press, 2001. Dreyer, Elizabeth A. A Retreat with Catherine of Siena: Living the Truth of Love. Cincinnati, OH: St. Anthony Messenger Press, 1999. York, NY: Simon & Schuster Editions, 1998.
of Women’s Spiritual Writings. Minneapolis, MN: Fortress Press, 1998.
it is silence that kills the world.” Bridget Mary’s Blog. February 9, 2017. bridgetmarys.blogspot.com/2017/02/st-catherine-of-siena-cry-out-as-if-you. toward spiritual renewal.” Bridget Mary’s Blog. April 29, 2016. bridgetmarys.blogspot.com/2016/04/st-catherine-of-siena-mystic-prophet. York, NY: Ballantine Wellspring, 1999. © 2017 Women’s Alliance for Theology, Ethics and Ritual (WATER). Planned by Diann L. Neu dneu@hers.com, Mallory Naake mallory@waterwomensalliance.org, and Hannah Dorfman hannah@waterwomensalliance.org.